The NewsletterOrganizer application is based on the communications principle. Creating and identifying an audience, segmenting the audience, creating a personalized message, creating content form and delivery, and reporting for feedback. This is the creation and identification of a consolidated accurate view of the customers. It involves data extraction, warehousing and cleansing the data. This allows the data to be ready for use in a campaign as per the various requirements. This is identification of selling opportunities and target customers for relevant messages. This involves segmentation and analysis of the customer profiles and sorting them as per matching of the customer need profiles. Designing a streamlined campaign with one on one dialogue capabilities. This is very important and involves content development and management, definition of the campaign audience, message/content, channel, timing, campaign testing, and flexibility in reusability and quick adjustments. This involves personalization, multi channel integration, response tracking and data capture. 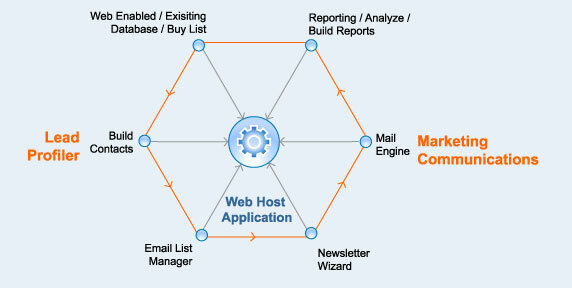 It involves simplification of newsletter delivery and tracking of marketing campaigning one or multiple channels. Newsletter Organizer allows web-based reporting with real time monitoring, channel analyzes, response reporting, and campaign measurement.